Making inferences is such an important skill for kids to learn. It helps with drawing conclusions and other higher order thinking skills. But, it can be tough for kids to master, especially if they are used to looking for exact answers to questions. 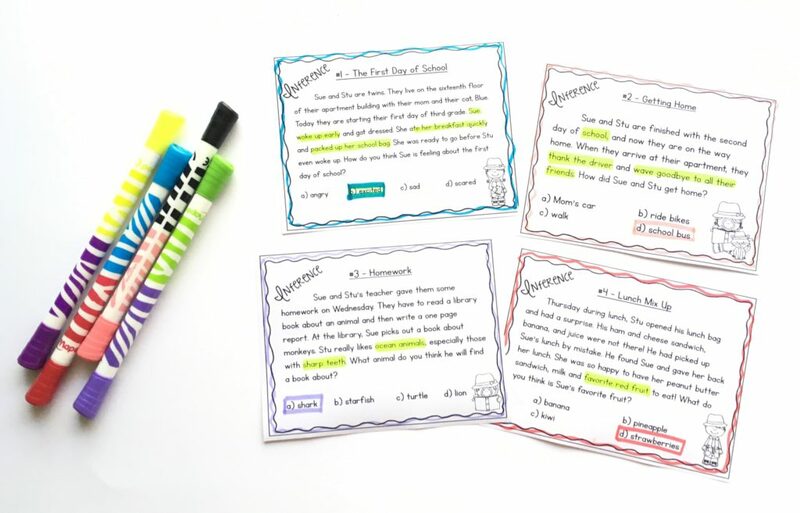 I love using these task cards as short daily practices for students to learn to look for clues in the text when the answer is not directly stated. Try out some of these inference task cards for free!